WASHINGTON, March 2, 2016 — Expanding global conflicts require new priorities for U.S. special operations forces, the principal deputy assistant secretary for special operations and low-intensity conflict told the House Armed Services Committee’s emerging threats and capabilities subcommittee here yesterday. Theresa Whelan, performing the duties of the assistant secretary of defense for SOLIC, and Army Gen. Joseph L. Votel, commander of U.S. Special Operations Command (seen in the above photo), described the existing special operations forces enterprise and U.S. ability to address security concerns with special operations forces today and in the future. “Our SOF personnel work in an environment where global conflict has expanded beyond the physical to dimensions such as cyber space, the social media sphere and bio warfare,” Whelan said. Other nations, some of which are U.S. peers, she said, also are making use of the new technologies to enhance aggressive, asymmetric tactics. “In the face of this evolving strategic landscape, the ability of SOF to operate unobtrusively with a small footprint in contested environments is becoming ever more crucial,” she said. Whelan described some major priorities for special operations forces as they operate in the new environment, such as developing the best personnel and equipping them with cutting-edge technologies. “Such technologies mean constantly improving existing platforms, equipment and gear, and investing in new, innovative technologies,” she said, and she emphasized the importance of building strong working relationships with allied and partner nations in the special operations realm. Boosting other nation's special operations capabilities would give the United States potential to leverage such forces along with its unique authorities, Whelan said, citing the Counter Terrorism Partnership Fund, which boosted the nation’s most important tool, the Global Train and Equip Authority. “Our counterdrug authorities permit SOF and other DoD components to work with U.S. partner-nation law enforcement to help counter drug trafficking and other forms of transnational organized crime, which can serve as a source of funding for terrorists, insurgents, and other threat networks,” Whelan said. But sacrifices special operations personnel make do not come without a cost, he said, emphasizing what he called his strongest point by thanking the committee for its devotion to the well-being and resilience of special operators and their families. “Because of congressional support, their emotional, social, psychological, and physical health are in good hands,” Votel said. Votel agreed with Whelan on the changing global environment. “We are in an era of rapidly shifting power, with competition and conflict between both state and nonstate actors -- actors who are increasingly ambiguous and transregional,” he said. 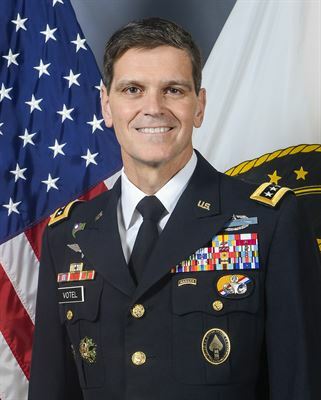 Special operations forces should not be expanded or mass-produced because of significant risk, Votel said, noting that the force is deployed with external support and dependent upon its service partners. Not only does Socom rely on SOF-specific enhancements to service-managed program, he noted, but the ability to operate stands on service-provided capabilities, such as infrastructure, transportation, communications, [intelligence, surveillance and reconnaissance], and close air support, Votel added. Congressional oversight of Socom’s efforts to man, train, equip and employ special operations forces remains critical as it “confronts an increasingly complex security environment,” Votel said.